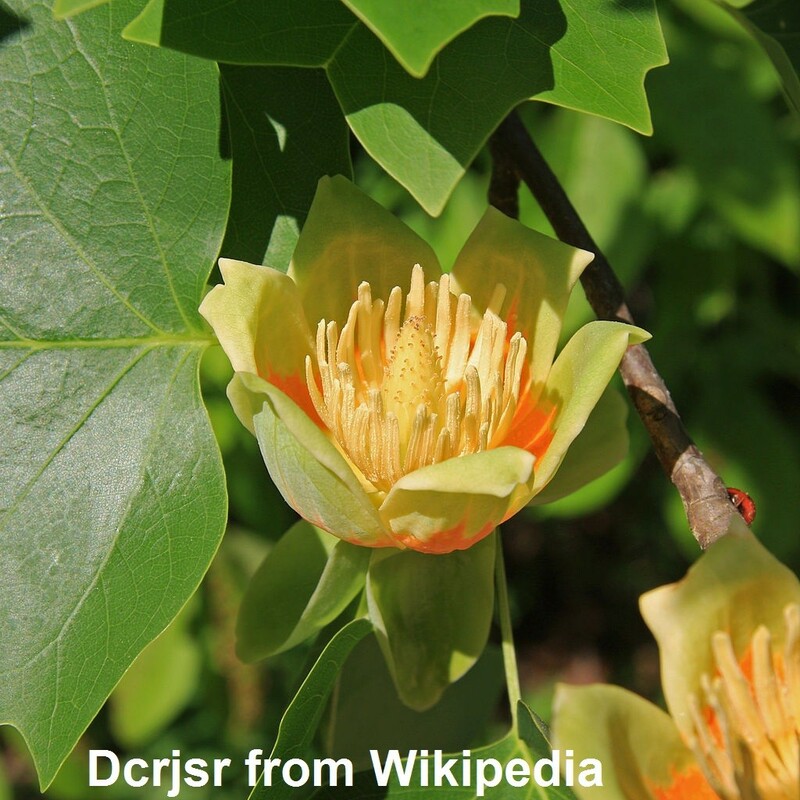 The tulip tree, Liriodendron tulipifera, is a native deciduous tree in the Magnoliaceae family. It is found in hammocks, bluffs, stream banks and swamps. 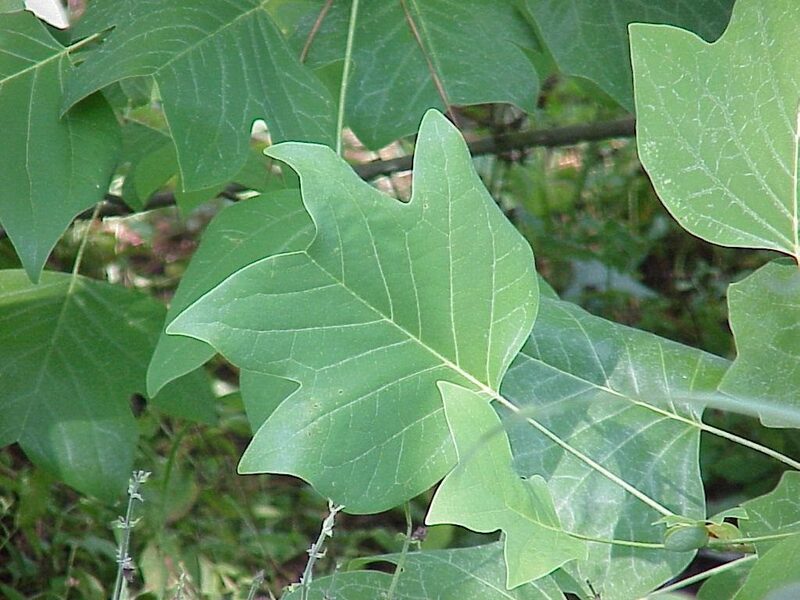 Some of its common names are tulip poplar, tulip magnolia, and yellow poplar. It is a stately, straight trunked tree attaining a height of 75 to100 feet. In the home landscape it provides a beautiful vertical accent, and golden fall color. Although it is found in moist soils in its native habitat it will tolerate drier conditions if the soil is amended with organic matter and almost constant moisture is attained. When distressed, by lack of moisture, nutrients, or compacted soil, its leaves will turn yellow and drop. Tulip tree leaves have a very distinctive squarish shape. The leaves are large, and reach a length of 4-8 inches. They are alternate, truncated at the apex and base, with four to six pointed lobes. In the fall the foliage turns a yellow-golden color. The large 2 inch blooms are tulip shaped, yellow-green in color, and have orange centers. They appear in late spring and early summer, and may be difficult to see because they seem to bloom at the upper most portion of the tree. Hummingbirds, bees, and butterflies use the flowers as a nectar source. The fruit appears in a 3 inch cone in the fall. The seeds within the cone are eaten by birds and squirrels. 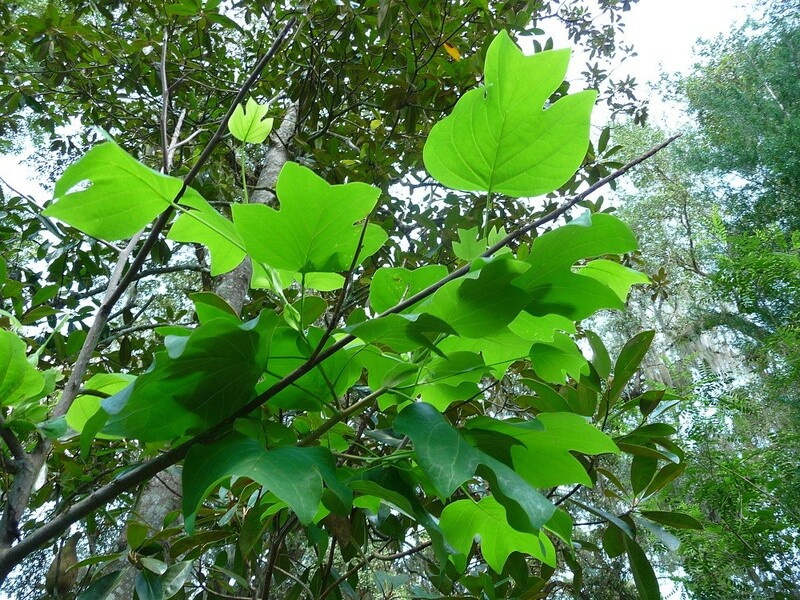 Tulip tree is a larval food for the tiger and spicebush swallowtail butterflies. Propagation may be achieved by stratified seed or cuttings. Seed propagation produces an extremely low percentage of germination, therefore it is considered difficult to propagate by seed. Propagation by softwood cuttings and root cuttings will produce better results. Many native plant nurseries in our area carry tulip tree.